Civil societies from Eastern and Southern Africa have called on governments to increase spending on initiatives aimed at fighting malnutrition. 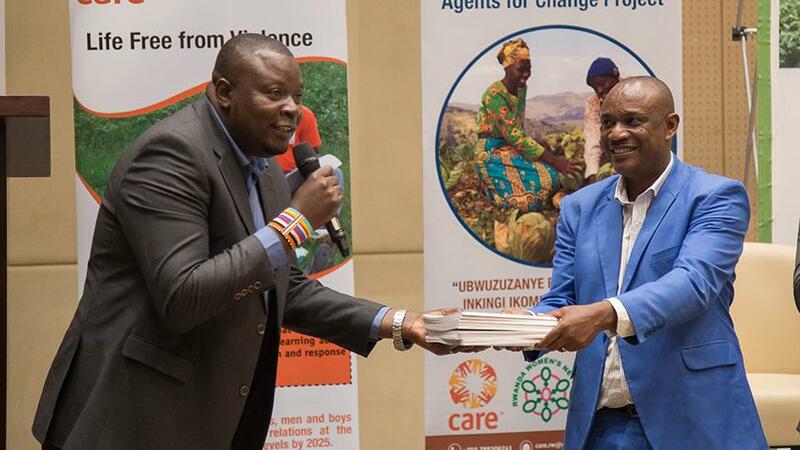 The groups have proposed that governments increase their spending from 0.54 per cent of their national budgets to 3 per cent to bolster efforts to end stunting. Their proposal, which come as some 14.8 million children are stunted in the nine surveyed countries, is contained in the report titled “East and Southern Africa (ESA) National Budget Commitment to Nutrition of July 2018”, released in Kigali on August 23rd. 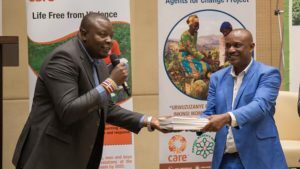 It was jointly commissioned by CARE International and the Graça Machel Trust (GMT), through the Civil Society Organisations Scaling Up Nutrition (CSO SUN) Alliance in East and Southern Africa (ESA), in order to establish baseline national budget nutrition commitments and expenditures. The study was conducted in Kenya, Madagascar, Malawi, Mozambique, Rwanda, South Sudan, Tanzania, Zambia and Zimbabwe. According to the report, while governments have recorded progress on reducing stunting and undernutrition, these gains are not sustainable, given that the majority of investment is through donor support either through national on-budget or off-budget programmes. The report therefore proposes a public outlay of at least 3 per cent of national budgets on nutrition by 2021. Experts say that part of the reason for the under-prioritisation of nutrition by governments is its ‘invisible’ nature compared to more visible development outcomes such as physical infrastructure. The burden that we have on nutrition, he said, is being addressed through donor support. Yet relying on the unpredictable support from donors raises concerns over the sustainability of nutrition programmes in the countries that were surveyed. Ouma suggests that domestic funding alternatives would provide sustainable solutions to stunted growth. Dr Michael Johnson revealed that there are instances where malnutrition cases have increased after donors withdrew their contribution. “About 14.8 million children are stunted, and governments are not able to meet the commitment of USD 30 per under-five child per annum as Nutrition for Growth commitment stipulates, and those are worrying figures,” Johnson observed, adding that the costs of neglecting nutrition are high, causing economic losses. Rwanda’s Director of Budget Formulation and Reform, Zachée Iyakaremye, said that the report will help governments to improve their investments and that there is no way countries can achieve development without investing in early childhood development. “The civil societies should help governments to implement the recommendations of this report, such as through educating local communities on good nutrition practices. Beyond allocating national budgets, we can reduce stunting without spending much,” he said. Out of the nine countries that were surveyed, Rwanda has the highest allocation of national budget to ending stunted, growth at 0.8 per cent. With 0.09 per cent, South Sudan ranks last. Including donor support, the two countries spent only 1.12 per cent and 0.5 per cent of their national budget on nutrition, respectively. In 2013, parties to the Nutrition for Growth (N4G) Summit agreed to spend US$30 per child as one of the commitments to tackling undernutrition. However, the report found that only Malawi and Rwanda met the N4G target on spending per child. However, these two governments also fail to meet the target without donor support. Malawi and Rwanda spend USD 2.42 and USD 9.48 per child, respectively, from their own resources. The report revealed that African Governments are not adequately prioritising nutrition spending despite abundant evidence of its importance to individuals, households, and the national economy. Madagascar has the highest rate of malnutrition with 47.3 per cent of children under-five stunted. Kenya has the lowest stunting rates, at 26 per cent. Rwanda, which has a stunting rate of 37.9 per cent among children under-five years, seeks to reduce stunted growth to 19 per cent by 2024.